We’re looking forward to seeing what the industry has planned for 2018 when we walk through the exhibitor hall this week. Specifically, we’re looking forward to the Operation Blended Warrior demonstrations with technology from industry leaders like Rockwell Collins, Boeing and CAE. Day 1 kicks off with the Operation Blended Warrior exercise. 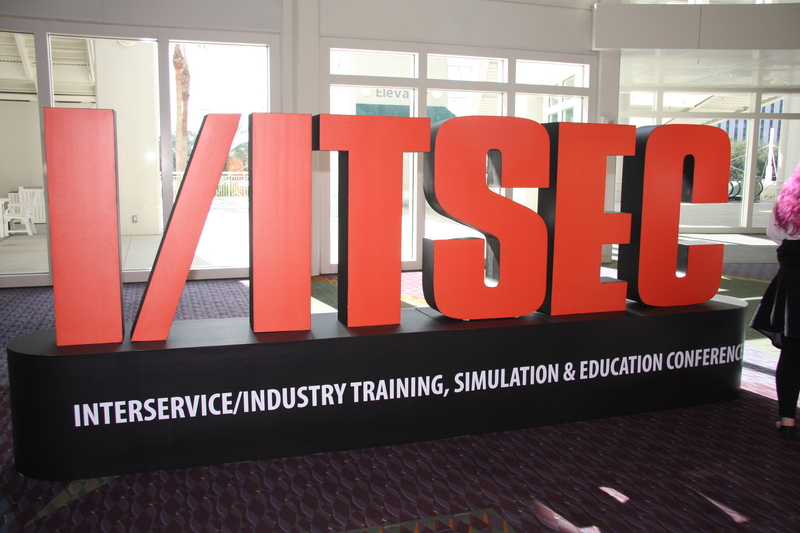 As show attendees walk through the Orange County Convention Center to register, exhibit and attend panels, they can learn about the evolution of the I/ITSEC show and the world of simulation, with important milestones dating back to 1979 and 1929, respectively. Modern Military Training kicks off day one interviewing Steve “Snak” Nakagawa, Principal Business Development Manager, Navy/Air Force LVC of Rockwell Collins about ongoing trends, challenges and the future of simulation and training. In their discussion, Snak highlighted the immense importance of collaboration in the simulation and training community and why events like I/ITSEC are must-attends for true movers and shakers. We’re excited to follow along with the show this year on social channels with the hashtag #IITSEC. This year’s show even has a QR code scavenger hunt to encourage attendees to check out show highlights. The prize for the most engaged participants? Their name on the I/ITSEC leaderboard and free attendance at next year’s show! Needless to say, the MMT team is ready for an action-packed week at I/ITSEC and highly anticipates the insights the show has to offer. We’re especially excited to have the opportunity to speak with several of these industry leaders. You can follow along with Modern Military Training’s coverage of I/ITSEC 2017 by subscribing to our newsletter or checking out our I/ITSEC 2017 section.